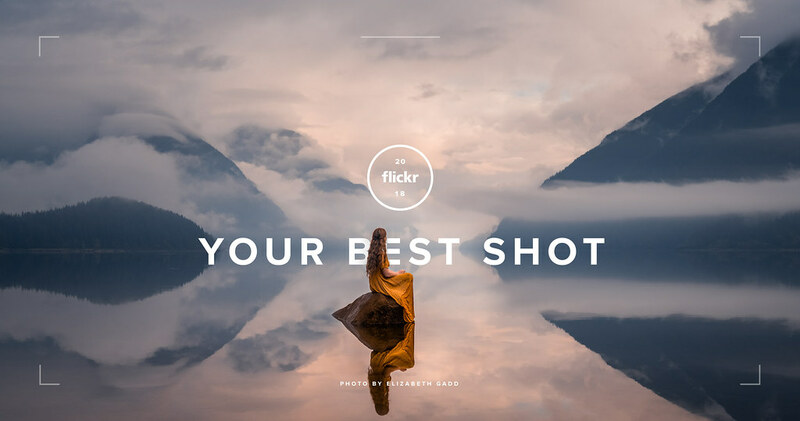 The holidays have officially arrived, and so has the most wonderful celebration of the year: Your Best Shot 2018. Last year, the Flickr community submitted more than 6,000 photos to Your Best Shot 2017. This year, we’re back for more—except this time, we’ve got sweet prizes. Five winners will each be gifted a Peak Design Everyday Backpack and a SmugMug Pro account. Starting December 1, we invite you to add your best shot of the year. You in? Join the group now and submit your single best shot between December 1, 2018, and January 7, 2019 (for extra time to edit those fabulous New Year photos). The only rule for your submission is that had to be uploaded in 2018—it doesn’t matter when it was taken. We know it’s like picking your favorite child, but you may only submit one photo. Choose wisely! Throughout December, Flickr staff will curate submissions and share themed galleries. You can count on these photos getting awesome exposure: our favorites from each gallery will be featured on the Flickr blog and social-media channels through early 2019. Get a head start browsing through your portfolio before submissions open on Dec.1. We’re stoked to celebrate Your Best Shot 2018 with the Flickr community and can’t wait to see your photos! Have more questions about the contest? Check out Your Best Shot 2018 FAQs. P.S. Be sure to read the group rules. By submitting your photos to the group, you are granting us permission to use your images to celebrate the group on our social-media channels. We won’t use your images to make money or for commercial purposes, but we include the legalese so you’re aware of the rights you grant us for this event.